.I was fortunate to be in close contact with you in the last lapse of your journey.I realize that this was the best part of the relationship that I shared with you ,for I saw you in all your vulnerability and child-like innocence . It often happens that a person who leads a very public life is not able to fully disclose their deepest emotions to the ones who are dearest to them. It is not that we did not have our deep meaningful conversations about life while you were in good health,but somewhere we connected more deeply in the spaces of silence when you were confined to bed and ultimately lost your power of speech .Your presence has always been so all pervading in our lives that your absence is felt acutely by each one of us . We seldom fully appreciate a person who is very close to us in our lifetime as much as we do in retrospect.I always knew you as a strict disciplinarian father who had great value for his words and who strove for perfection even in the smallest of tasks .You had immense clarity about life and were very blunt in your words especially to your near ones ,when you wanted to express your disapproval.. Yes it is very true that when we are in close observation of a person their virtues and vices are very evident to us .You did not possess any such strong negative traits but we are all human and we all have our failings and shortcomings. At times due to close proximity these failings get magnified and we begin to view them in proportions that our not within limits.Why is it that we cannot view a person in totality or objectivity when they are alive? Does death have to be the decisive factor that will put everything in its right perspective? 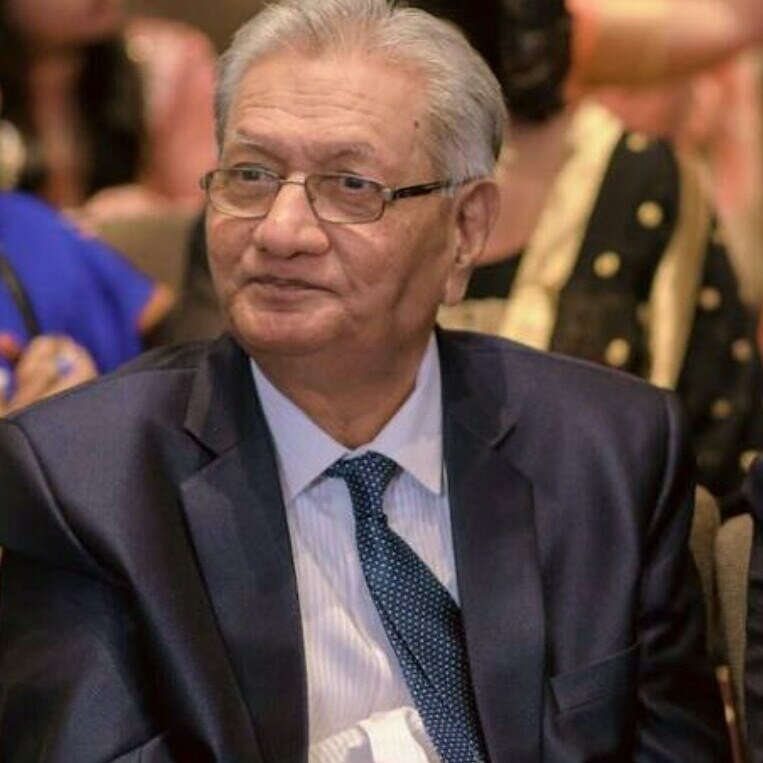 When we attended the numerous ceremonies after your death and all the people whose lives you touched expressed their love and gratitude to you did we fully realize the magnitude of our loss.For those of you who do not know my father I would like to tell you that he was the head of an educational Institute ,The Ness Wadia College of Commerce Pune and also the head of other educational societies he founded . A passionate teacher,an avid reader and a lover of life in all its spheres He loved to travel,observe nature and humans so that he had a better understanding of life in all its glory.He always planned everything from a party to his daughters marriage with great detail and enthusiasm.Nothing could ever deter his never say die spirit and he led by example. In his last phase of life he was suffering from lung cancer and he understood his disease and its implications in all their totality .He was prepared for death in the same way that he prepared for life .His patience and stoicism were remarkable and I learnt the most important lessons of life in the silence of his presence . I was very lucky to be with my father for the last six months of his life.I am so thankful that I got the opportunity to express my love for him for had I not got this opportunity ,that love would have withered within me and affected me for the rest of my life .It does happen that sometimes we are not able to fully express our love to the person during their lifetime ,but I appeal to all of you reading this post that you must seize the opportunity to express your love to your loved ones whenever you get the chance to .Don’t postpone it to tomorrow ,don’t hesitate to do it today ,for tomorrow may never come . If today you are in the presence of a parent who might be suffering from a terminal illness ,be with them with all your heart mind and soul.They may be dying ,but together you can heal and give new life to your relationship even as their breaths become shorter and rarer.This is a rare opportunity ,a gift from God to you to fully understand and appreciate life .A dying parent can give you that strength to live which nothing else can. Daddy today you are no more with us but I can say that I feel your absence more greatly than I embraced your presence. Today I can say to all of you who are lucky to be with your old parents ,give them all the love and care you can,pour your heartfelt feelings to them while they are able to receive them in the container called life ,for once they are gone ,your heart may overflow with love for them but they will not be there to receive it .